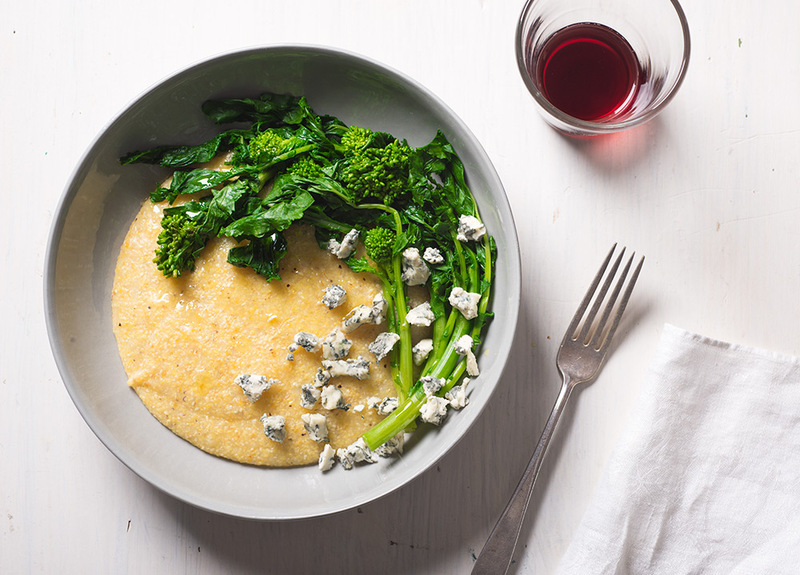 With its mild charm, polenta, a cousin of southern corn grits, is a perfect flavor base for spicy broccoli rabe. 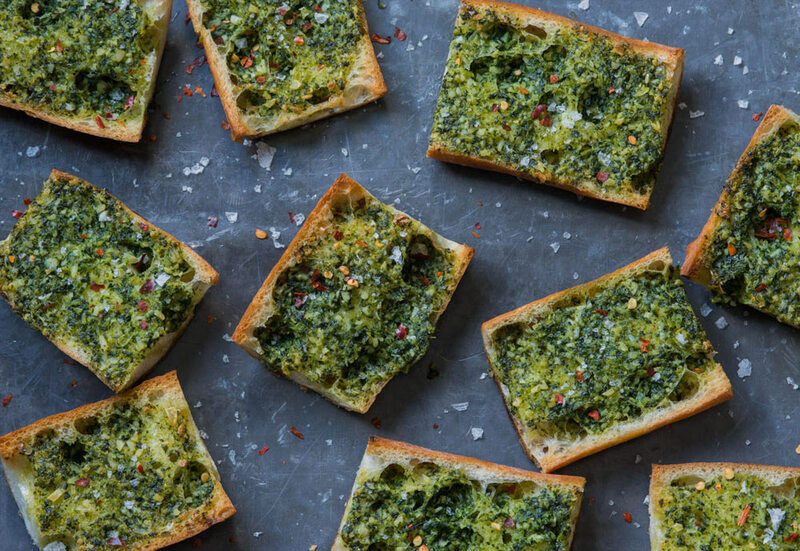 Whether the greens are sautéed in olive oil and garlic, or just olive oil-poached, they are a marvelous and colorful accompaniment to this Italian staple, especially when brought together with a soft, earthy cheese like Gorgonzola Dolce (young, “sweet” Gorgozola), Maytag Blue, Danish Blue, or other blue-veined cheese. 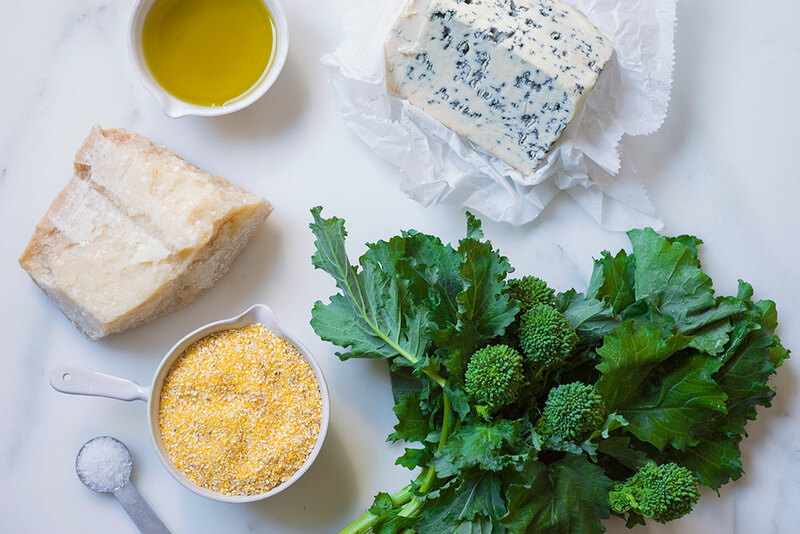 Italian Taleggio is another soft, even runny, cheese that is well matched with both polenta and broccoli rabe. Julia is one of America’s foremost authorities on Italian cooking. She is a James Beard Award winning author and has written over 15 cookbooks. 1. To oil-poach the broccoli rabe, fill a pot with enough water to cover the greens and bring to a rolling boil. 2. Meanwhile, if using bunch broccoli rabe, trim off any discolored tips from the bottom and use a paring knife to peel the skin off the thicker stems. Sever all the stems from the tops. Wash the greens in abundant cold water. 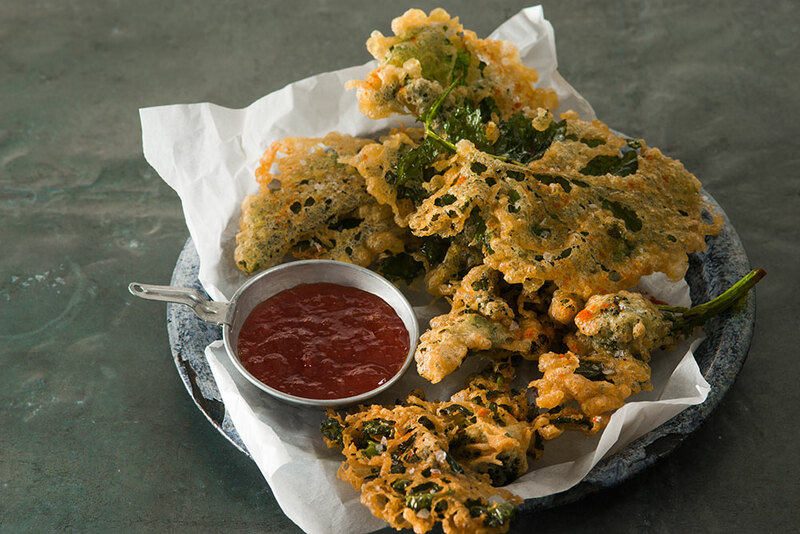 Use pre-washed bagged broccoli rabe as is. 3. To the boiling water, add the 2 tablespoons kosher salt and the 3 tablespoons olive oil, followed by the prepared broccoli rabe. Cook over high heat for 4 minutes. Drain well and set aside. 4. 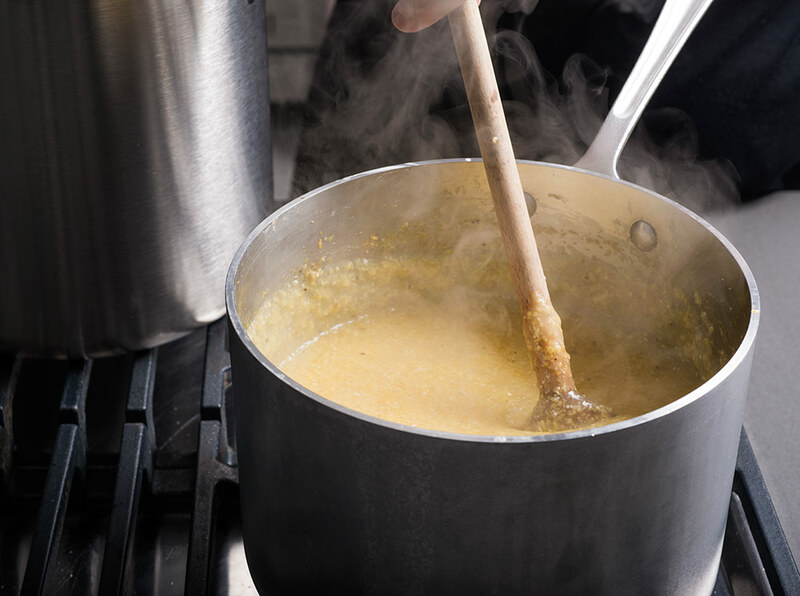 In a large saucepan, bring the 5 cups cold water to a rapid boil over high heat. Add the polenta and salt. Cook according to package instructions. Use a wooden spoon to stir constantly in the same direction to prevent lumps from forming and to keep the boiling temperature constant. This is important if the polenta is to become properly soft and creamy. 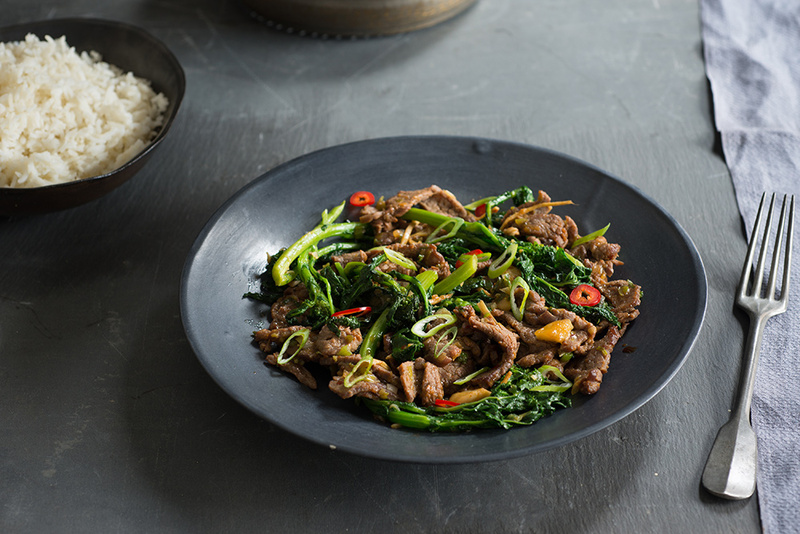 Cook until it is so thick that it begins to resist stirring and pulls away easily from the sides of the pan. If the polenta is quite thick but still not pulling away easily from the pan, add a little more boiling water and continue to stir until it is ready. Pour into a large serving platter. Drizzle with a little olive oil. Using the back of a ladle, press a crater into the center. 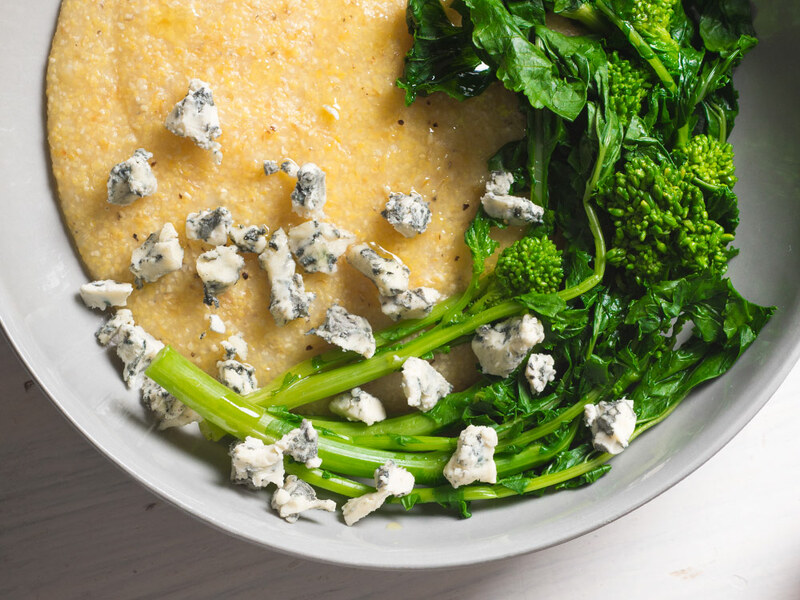 Arrange the cooked broccoli rabe in the crater and the crumbled gorgonzola around the polenta. Serve hot. Get the scoop on Broccoli Rabe: recipes, health benefits, & nutrition information. The ANDY BOY trademark has been in use since 1927. ANDY BOY and ANDY BOY SINCE 1927 logos are registered trademarks of D'Arrigo Bros. Co., of California.